Just after arriving at Pak Lay (Laos), we stopped at what is supposed to be "Pak Lay Harbour" from where you have a nice view over the Mekong River while sitting in the shadow from trees or the sala. Pak Lay is the cross-road of the road going to Luang Prabang or to Vientiane. 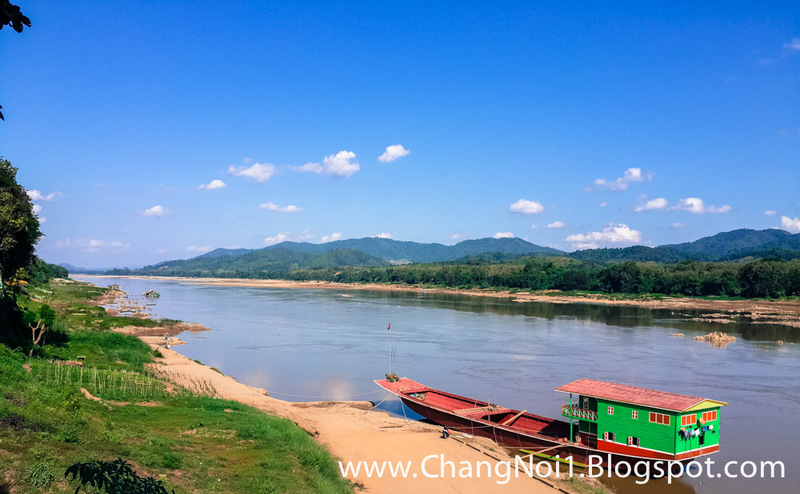 The Mekong River is until now only to be crossed by ferry. But within 5 months that will be over when the bridge is finished. I am not sure if this is a blessing for Pak Lay but that is another story. I like Pak Lay for it's remoteness and being nothing ... just a sleepy town along the Mekong River. We did stay overnight here at one of the about 10 Guesthouses that are in Pak Lay. In the evening we had dinner at one of the restaurants along the Mekong River. We loved it! 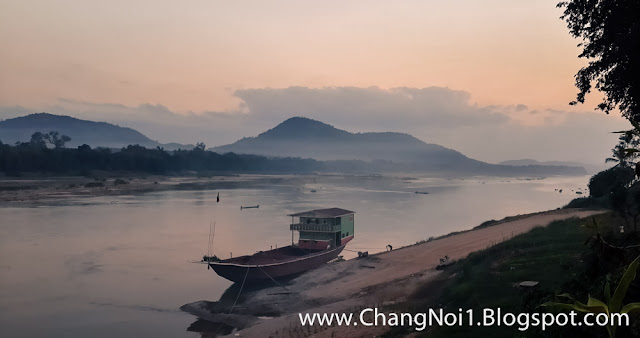 Slow boats are still going between Vientiane / Luang Prabang and Pak Lay. But you will need some time ... 4 days going up to Luang Prabang.